I love the photo. The poem is a lovely snapshot of a beautiful moment as well. exactly and i thrive on the ruckus. Great quote and picture Beth. Some might call it enthusiasm, while others call it drinking the kool-aid. How much fun for you to have them with you! I do not understand how I get unfollowed…..Sounds like the very best possible summer! Enjoy every second! So cute! Have a great weekend, Beth. This looks like a fun game in ptogress. 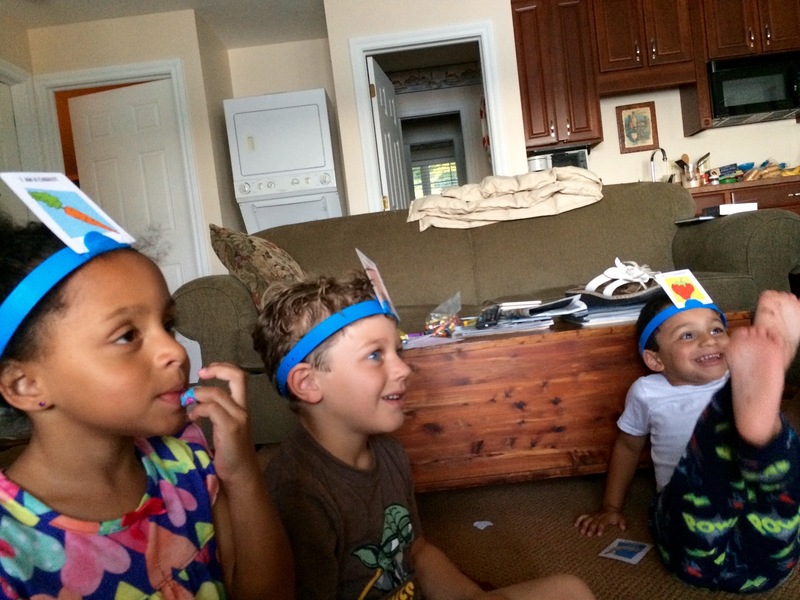 What is thee ard on headbands game they are playing, Beth? 🙂 ♡ ♡ ♡ ♡ ♡ 🙂 to all!